So, DM over at his fabulous and inspiring blog heart to heart challenged me to a book review on one of my Good Read books. I started to do my review. And just kept saving “draft” to come back to later. To be honest, I read this book a couple of years ago so, though it is one of my all-time favorites (which is why I list it in my top “good reads”), it is not fresh at the top of my mind. #1. I will be reading this book again, to refresh and remember what I learned about “sabbathing”. It is so easy to find ourselves busy, busy again. The reminder never hurts. #2. “Sabbath” sounds very religious. Trust me, this book is not. It is spiritual and it is beautifully written. It is an homage to peace, space, quiet, family time, alone time, rest and renewal…as the title states. It is a great reminder. #3. I find book reviews a bit dry. Especially when I click on the title and it links to 10,000 “reviews”. Which all say basically the same thing. I thought that I’d take this review and put my twist on it. I heard a great talk at a spiritual center that I attend. The speaker mentioned this book which was how I came upon it. I had to read it after that. Library didn’t have it so I ordered it used. I think off Amazon. Years later, after reading this book, this is what I STILL do and this is how this book helped CHANGE my life and bring me more into the present and being more conscious. 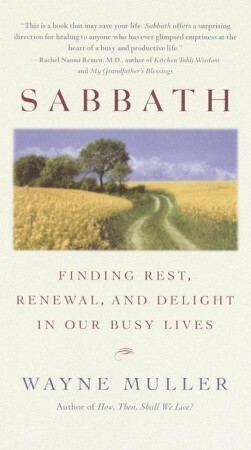 TAKE A SABBATH MINUTE–I take a ten minute (or so) “sabbath” every day. My cell phone alarm is set to go off at 12:30 pm every…single…day. I call it my “sabbath alarm” or my “meditation alarm”. When it goes off, it reminds me to STOP, take a moment, breathe. I try to do a 5-10 minute quiet meditation or simple breathing and sitting still. I don’t stress about it though. At first, I started this and found that it sometimes stressed me out. I’m in the middle of something (!) and that damn sabbath alarm goes off. Now, I know when it goes off it just means -breathe-. So, if I am driving down the highway when I hear it, I may just simply slow down a bit and take four or five deep breaths, but continue on. EYES OPEN of course. If I am on a horse and hear it go off in my back pocket, I will breathe deeper and take a moment to look around at the gorgeous flowers blooming below that I hadn’t really noticed. Just that extra moment of coming into “the moment” and being. If, however, I am at home and able to take the 10 minutes, I will sit down for a break and do a mini-meditation. It is just a moment (be it a deep 5 second breath in the middle of chaos or a 10 minute sit-down meditation if I can)…it’s a moment to remember what’s important. HAVE A SABBATH BOX–One other thing I took from this book that I still practice today is the “sabbath box”. An area of our home (shelf on the side of the kitchen island) where the cell phones in the household go when everyone gets home for the evening. It’s not forever. It’s just for now. We can check them every so often if we need to. But it reminds us to set them aside and enjoy home, enjoy family. Not to have them on our hip or back pocket attached to us, which becomes such a habit. So easy to check, to grab, to look at. So easy that we don’t even realize the time spent if we added up the minutes. It becomes unconscious. Then, when I go to check my phone–it is a conscious thing. I can check any voicemails or respond to any texts and then it goes back in the sabbath box. So it becomes a conscious action that is kept to a particular time frame. Rather than on-going and seeping into every moment. When I play a board game with my daughter, I AM PLAYING A BOARD GAME WITH MY DAUGHTER. And she feels that too. ONE DAY OFF ON YOUR TERMS–Sunday is a “sabbath day”. I’m not religious really. I call myself spiritual. I chose Sundays because that is simply the quietest day in my home and my life. I am not completely out of commission on Sundays. I just consciously try to keep those days schedule’s clear and quiet. Usually it is a day of staying home. My daughter and I ride our horses together almost every Sunday. I cook a nice dinner. I am VERY selective about accepting any invitations on a Sunday. I will if it is deemed truly important. But, otherwise I don’t schedule anything. I simply tell friends and others (including people who beg for riding lessons on Sundays because it’s their ONLY day off) that Sunday is family day in my home. In conclusion, even though it’s been a couple of years since I read this book-you can see that many of the practices that the book encouraged me to adopt STILL live with me today. That tells you what a great and life-changing book this was for me. For anyone who is seeking just a touch more peace, quiet, spirituality or just a quiet sunset with a cold, uninterrupted beer in the midst of a crazy busy life, I definetly recommend giving this one a read. And, it’s a quick easy read too. Good for…..say, a “sabbath sunday”? What an interesting sounding book with practical and effective ways to reconnect with ourselves and others. I like the Sabbath meditation idea at a particular time of day as well as the box for cell phones! I think my family could use that. I look forward to reading more. Thanks also for dropping by my blog. Yes, anything to help remind me to slow life down and enjoy. Looking forward to following your adventures! BTW I love your cover photo! I too am a big fan of this book and love the things you chose to share. Funnily enough, we spend a good chunk of our day at church on Sundays, ans while it is a very healthy thing for our family, it is anything but a day off. So we started Secular Sabbath Saturdays! No plans, no errands, no business, no school work, just family, food and fun. It’s hard sometimes to carve it out, and there are times when it feels right to let it go for an hour or two, but I think holding the idea that we all need downtime is so important. Thanks for sharing! I agree. Thank you so much for your comment! Whatever day works, it’s different for everyone. I have a friend who runs a family business with her husband so they are “go, go, go” all the time. They do “family retreat” sabbaths. Rather than one day a week, because some weeks they are really busy on a job, they do sabbath chunks of time. Not vacation, they don’t travel anywhere, they just take three or four days and commit to nothing. It’s funny because if they are invited to a party or something, she just says “we’re on family retreat that week, sorry”. I love that there are no apologies, and no lies or making up excuses, no guilt, simply just that they need a break and time to reconnect as a family. If more people did this, it would be more respected and understood. Good for you guys! What a great idea, especially the Sabbath alarm, just to nudge you to take that minute of quiet gratitude, I love it. I like it. Even if I’m busy and can’t do much, like you said it’s just that little reminder! Thank you for the suggestion. It inspired me to remember to slow down and pick up some practices that I have been slacking on.